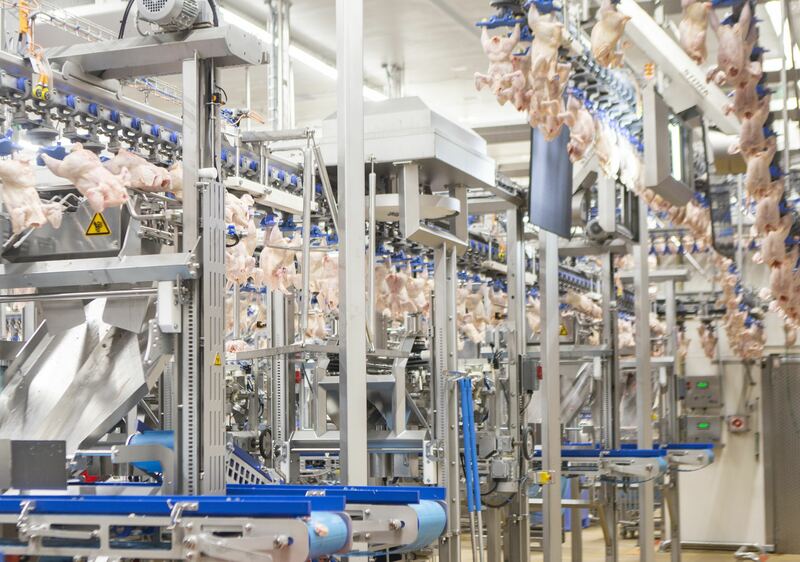 Processors have a new weapon in the fight against labour shortages after Marel Poultry developed a new chicken wing part grading and distribution system. Q-Wing was designed in response to market demand for higher wing yields and less manual labour, according to Marel Poultry. It comes as wing parts become increasingly popular as snacks, with Super Bowl Sunday in the US alone accounting for the consumption of a staggering 1.39 billion chicken wings. Integrated in the ACM-NT cut-up system, Q-Wing comprises a selection of wing-cutting modules, an IRIS visual grading system, sophisticated logistics and Innova control software. Once the IRIS camera system has visually assessed the quality of the wings in the line, Q-Wing knows which parts of each left or right wing are A and B graded, Marel Poultry explained. If, for example, only the left first joint is damaged, the left second joint can still be processed as an A-grade item and so can all the right wing parts. This will dramatically help secure consistent quality and raise wing profits, the company added. The logistic system comprises multiple conveyor belts, leading to separate packing stations for the different A and B grade drummettes, wingettes and whole wings. Left and right wing parts can be kept separated or can be mixed. “Such an accurate sorting procedure considerably reduces the amount of products to be trimmed and produces minimal giveaway,” Marel Poultry said.